'You know,' said he, ' that I am a man conscious of my limitations and it is not in my nature to have more things than I can attend to. But I could not resist Dr. Patwardhan's request. I was glad to be told that this gymnasium was open to Hindus and Musulmans alike, and that not only Musulman but 'untouchable' youths are members of it. I rejoice to see that the institution is thus free from communalism. Our Shastras say that a boy who would keep his body fit and strong and make the best use of it should observe Brahmacharya. I have travelled all over the country and one of the most deplorable things, I have noticed is the rickety bodies of young men. So long as we labour under the curse of child-marriage, and so long as many members of our society are children of such marriages, so long much bodily exercise is an impossibility, who will recommend physical exercise to consumptives ? We should therefore lay the axe at the root of this curse, if we would see our young men and women strong and healthy and India on the path of vigorous and healthy growth. Manu has laid down that a student should observe Brahmacharya up to his 25th year, at least. All physical exercise will be futile so long as these conditions are not satisfied. But there is another thing to which I should like to draw your attention. You know that I am pledged to have nothing to do with things even remotely connected with violance. Whatever others may say, I am convinced that the way of non-violonce is the only way and the highest and permanent religion for me. How is it then, some one might ask, that an avowed votary of non-violence like me has at all associated himself with an institution like this? The reason is clear, Ahimsa or non-violence means the renunciation of the capacity to use violence, He who has not that capacity is therefore incapable of exercising non-violence. Non-violence is a mighty spiritual force but its votary should have the power to use physical force and should consciously and deliberately refuse to exercise that force. Not that physical training is a sine qua non for acquiring capacity for violence, but we may not encourage our youths to have feeble physiques in order to be capable of ahimsa. You cannot make a man non-violent by depriving him of arms. One of the many crimes of the British rule in India is that we have been forcibly deprived of our arms—not indeed with a view to making as non-violent even if such a thing was possible but to emasculating us. I want India to be strong and free to exercise its strength and yet to renounce it. Thereafter in the year 1933 Mahatma Gandhi again visited this auspicious Institution and witnessed the activities jointly performed by the boys from different caste and religion. 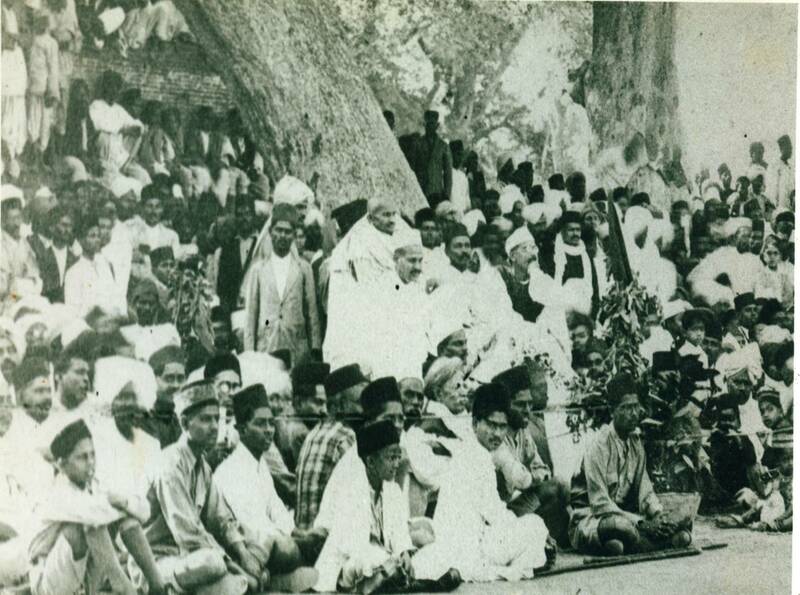 Gandhiji attended a function at the Hanuman Vyayam Shala, where about a hundred Harijans boys displayed their skill in physical drill before a gathering of thousands, to the accompaniment of a band played admirably by Harijans. All the volunteers on duty throughout the city that day were Harijans. Thanks to the efforts of Dr. Patwardhan of Amraoti, a network of such gymnasiums have sprung up throughout C. P. and Berar, and they have contributed much to the breaking down of the barrier of untouchability. Hundreds of Savarna and Harijan boys belonging to these gymnasiums not only live and play but even eat together without the slightest distinctions of caste.